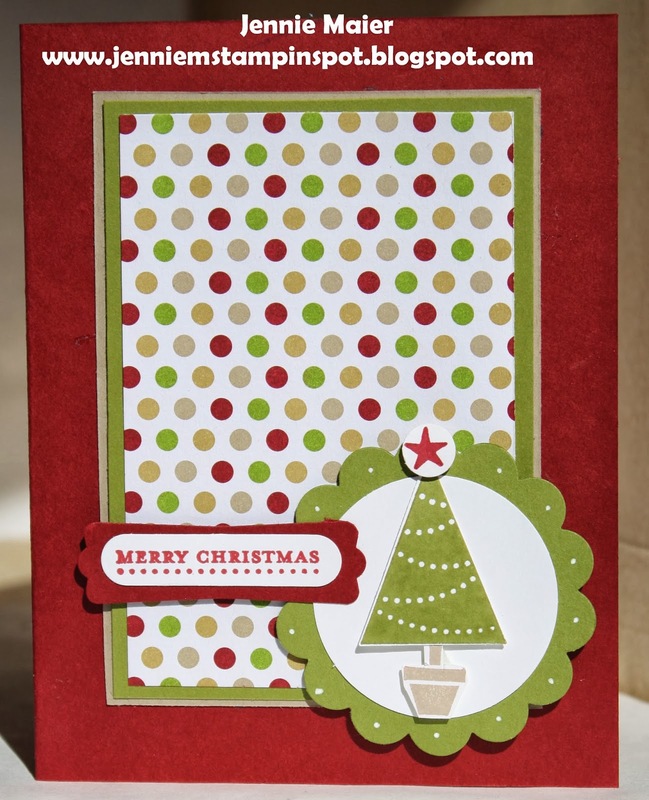 This Christmas card uses the MojoMonday Sketch#316 here. 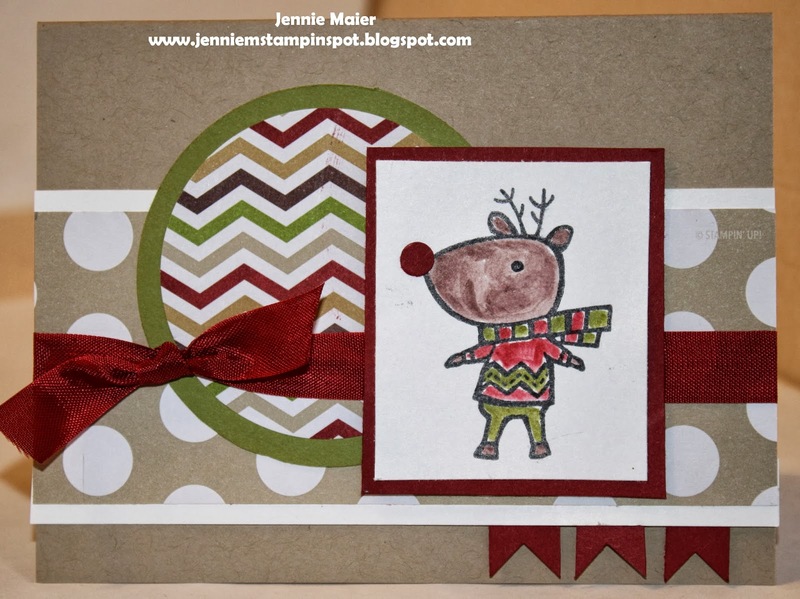 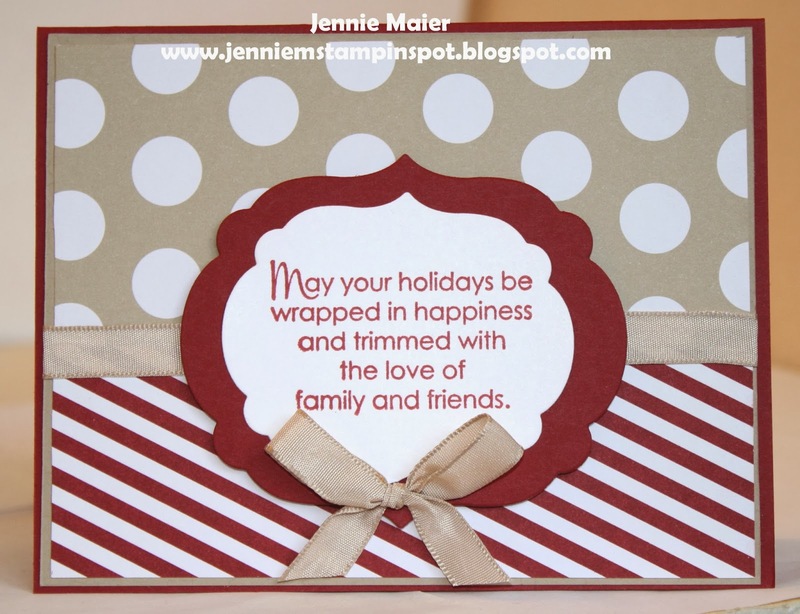 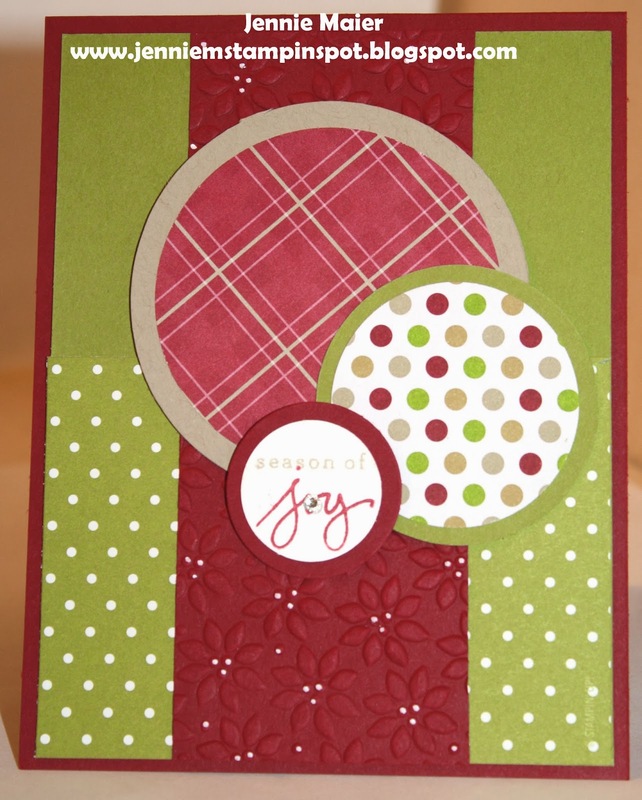 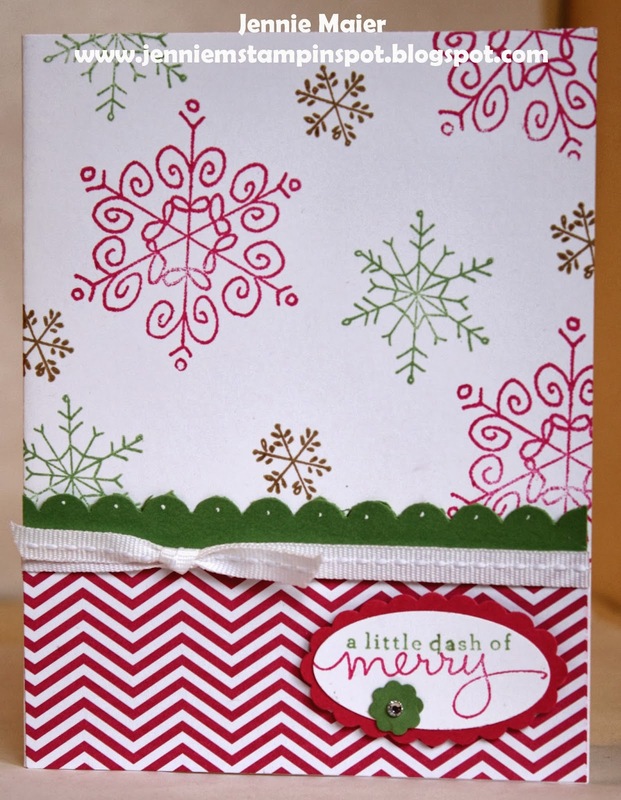 It also uses the Color Me Christmas stamp set and some Season of Style DSP Stack. Here's a quick, masculine thank you using the Splitcoast Sketch#458. 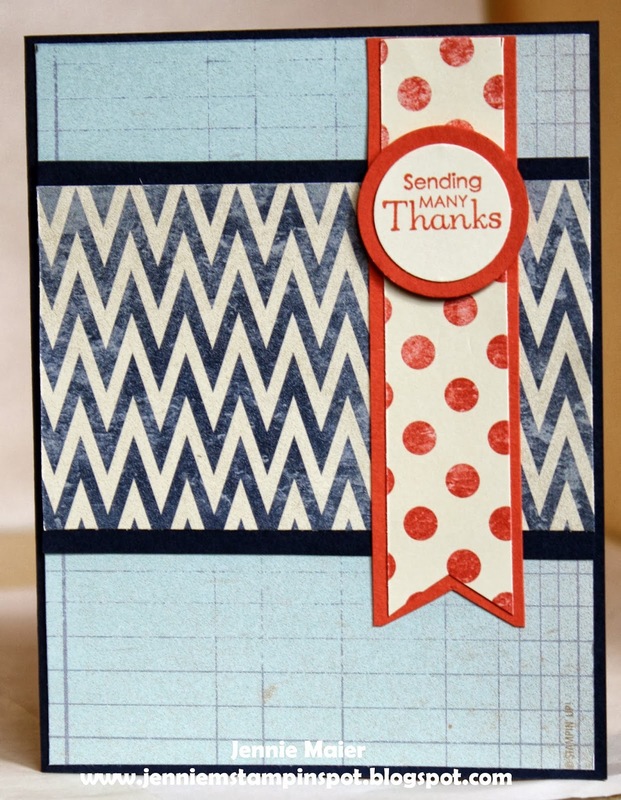 I used the Petite Pairs stamp set with some Etcetera DSP. Really fast! 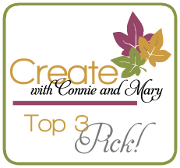 This is a quick thank you for the Create with Connie & Mary Sketch#273 here. 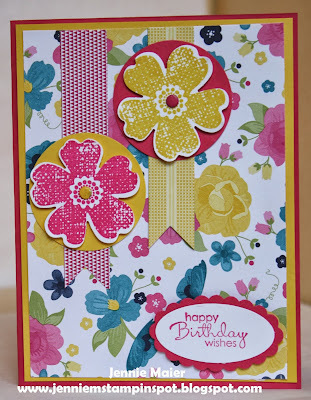 Mixed Bunch and Itty Bitty Banners are the stamp sets with some Gingham Garden DSP. 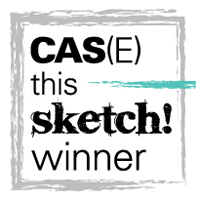 This is my take on the Freshly Made Sketch#108 here. 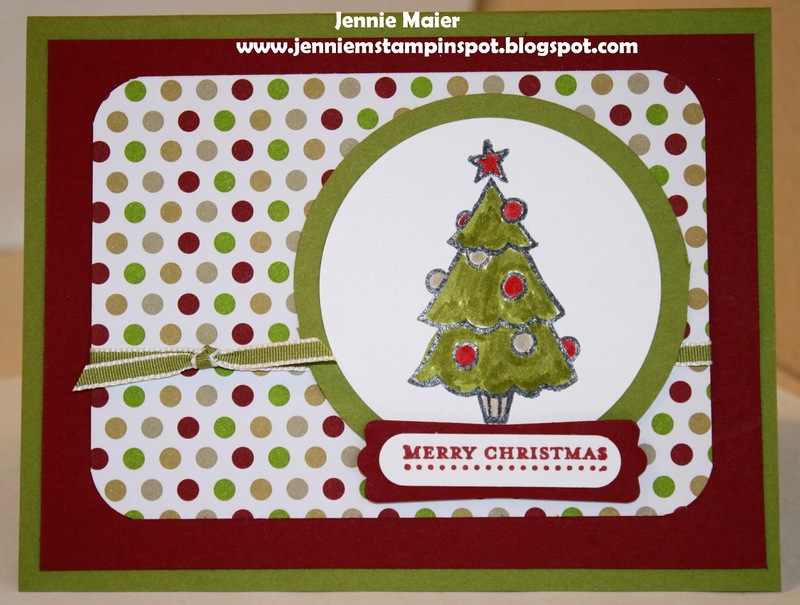 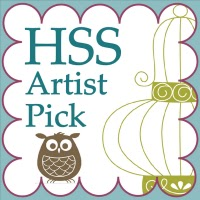 I used the Color Me Christmas with the Season of Style DSP Stack. 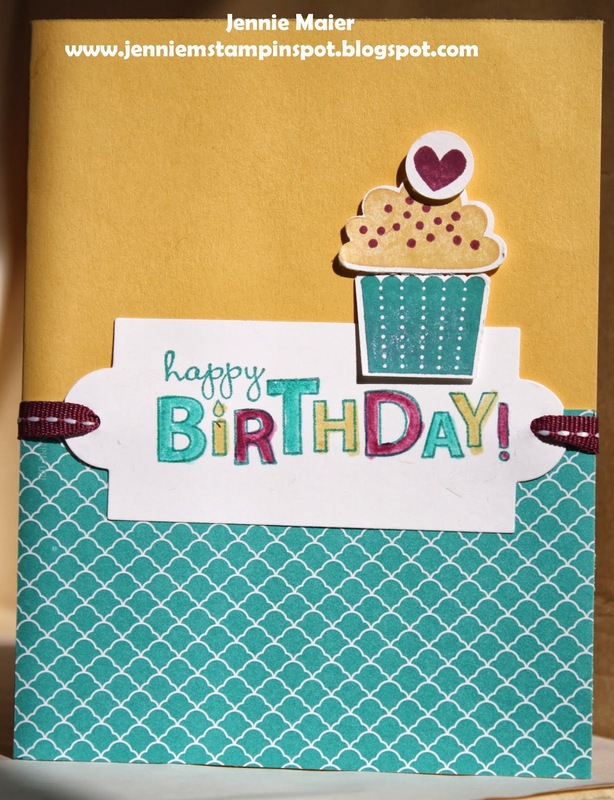 It's my son's 15th birthday and I made this card for him. I was inspired by the different blues in the wrapping paper that I used for his gifts, so I used my Brights DSP Stack, some circle punches and the Embellished Events stamp set. 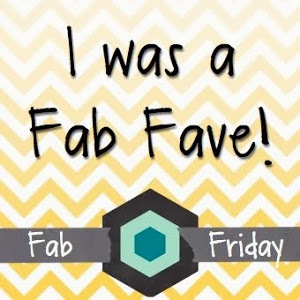 I also used the Clean and Simple FTL#262 here. Happy Birthday Max! 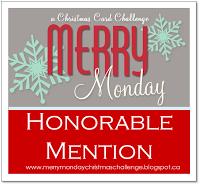 I'm proud to be your mom and love you lots! 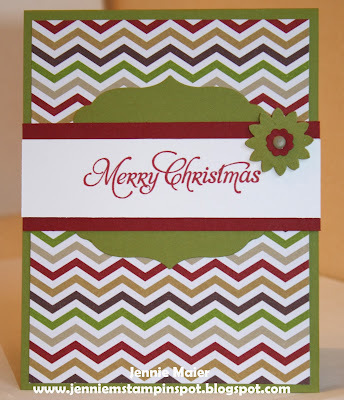 I missed the deadline, but I used the PPA#175 Color Challenge here for this card. 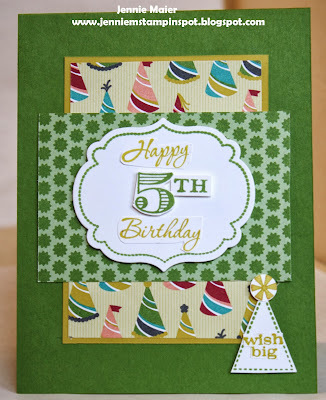 The colors to use are So Saffron, Cajun Craze and Always Artichoke. I used the stamp sets Four Frames and Mixed Bunch with Teeny Tiny Wishes. I used the Clean & Simple Stamping FTL#261 here for this Christmas card. 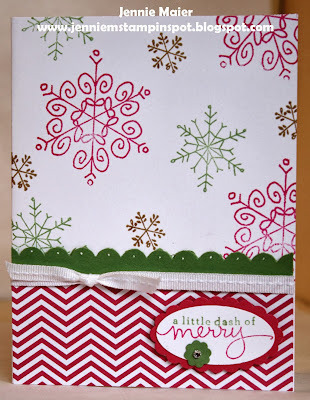 Color Me Christmas and More Merry Messages are the stamp sets with some Season of Style DSP Stack. 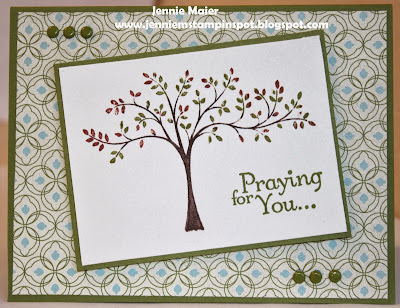 For the color challenge#272 here, at Create With Connie & Mary I cased a card by the super-talented Mary Brown here. 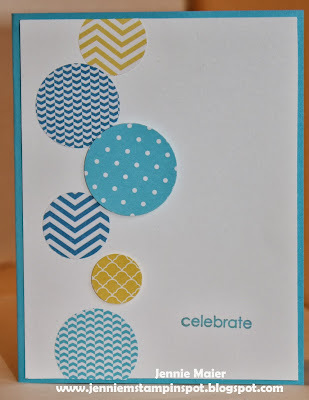 I used the colors for this challenge, So Saffron, Bermuda Bay and Rich Razzleberry and also used the Bring on the Cake and Create a Cupcake stamp sets. 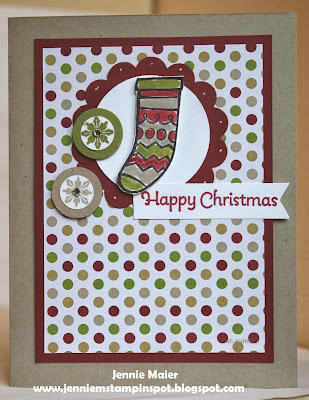 And there's a bit of the Brights DSP Stack. 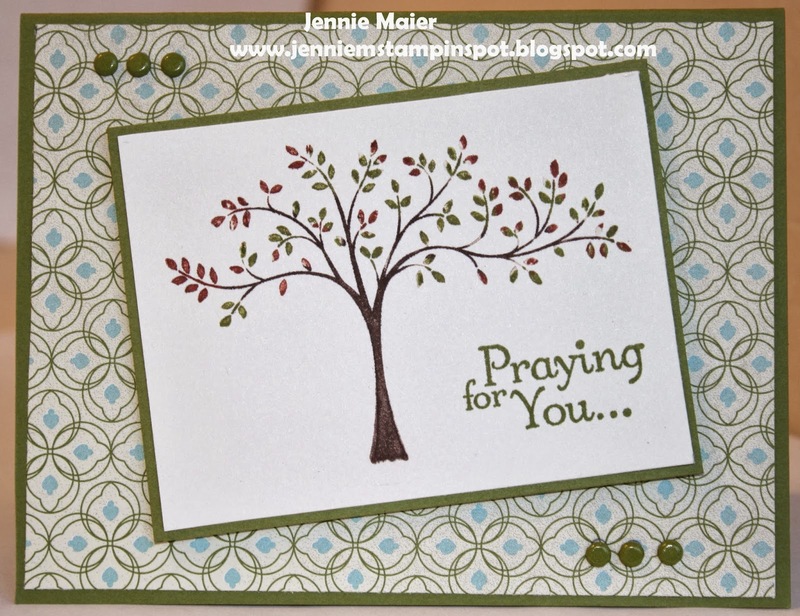 I needed a sympathy card and the Splitcoast Sketch#457 here worked perfectly with the Thoughts and Prayers stamp set. Also used some Etcetera DSP. 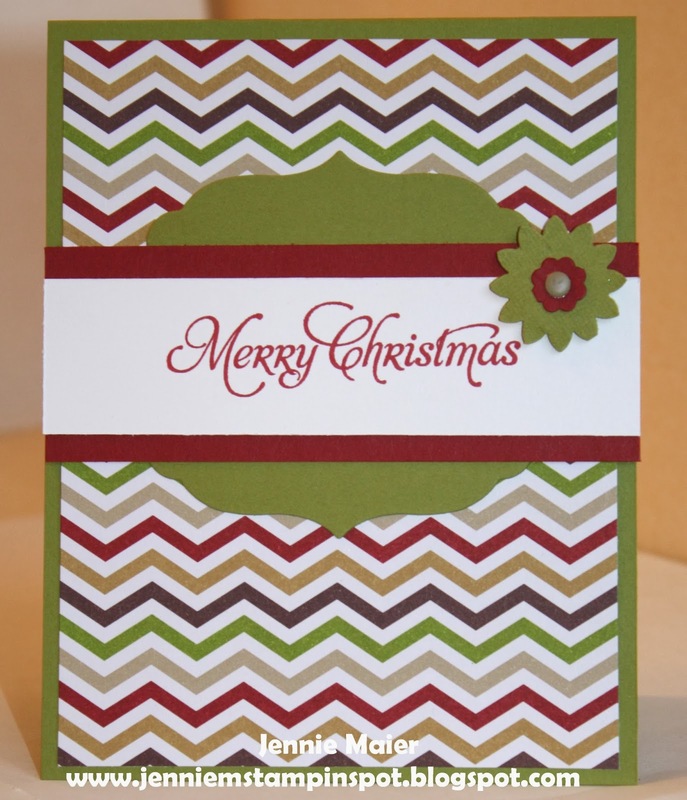 Here's a clean and simple Christmas card for the Freshly Made Sketch#107. 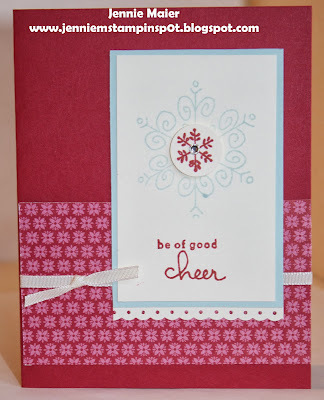 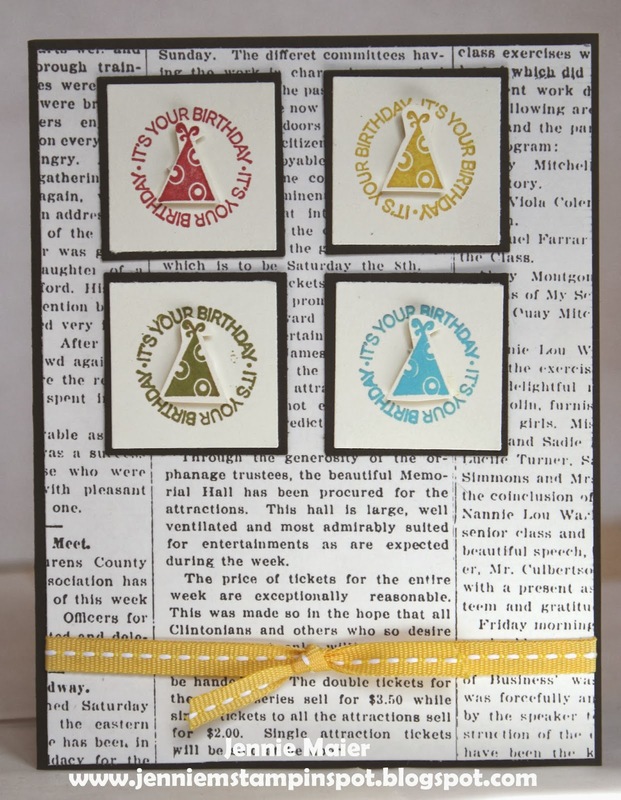 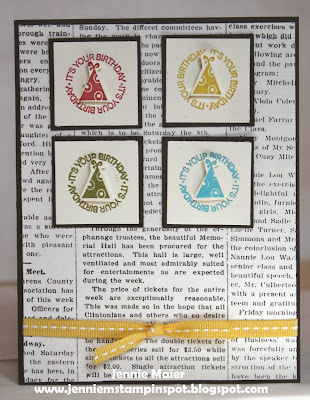 I used the Pennant Parade and Teeny Tiny Wishes stamp sets with some Season of Style DSP Stack. 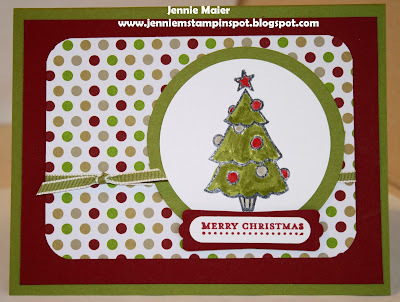 This Christmas card uses the Create with Connie & Mary Sketch#271 here. 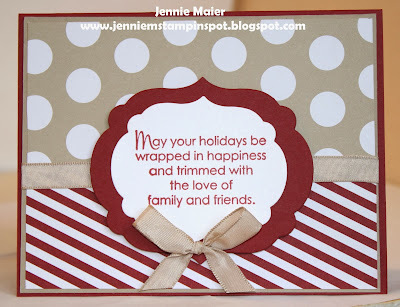 More Merry Messages is the stamp set and then there's some Season of Style DSP Stack. 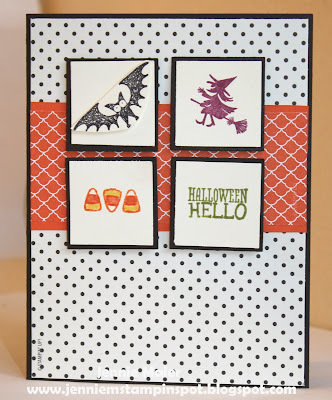 This Halloween card uses a sketch and a color challenge. 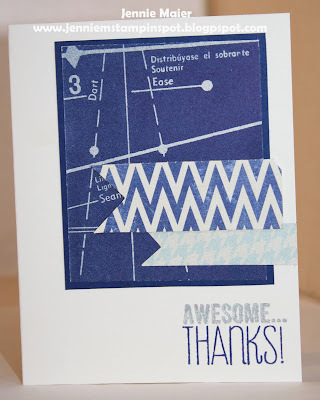 First, the sketch is the Splitcoast Sketch#456 here. 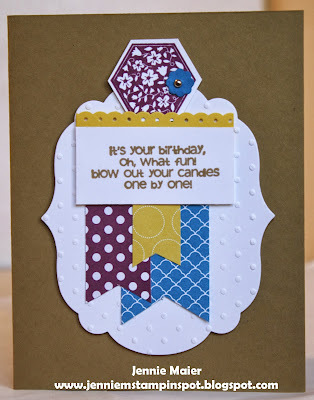 And second, the color combo is at FabFri#28 here. 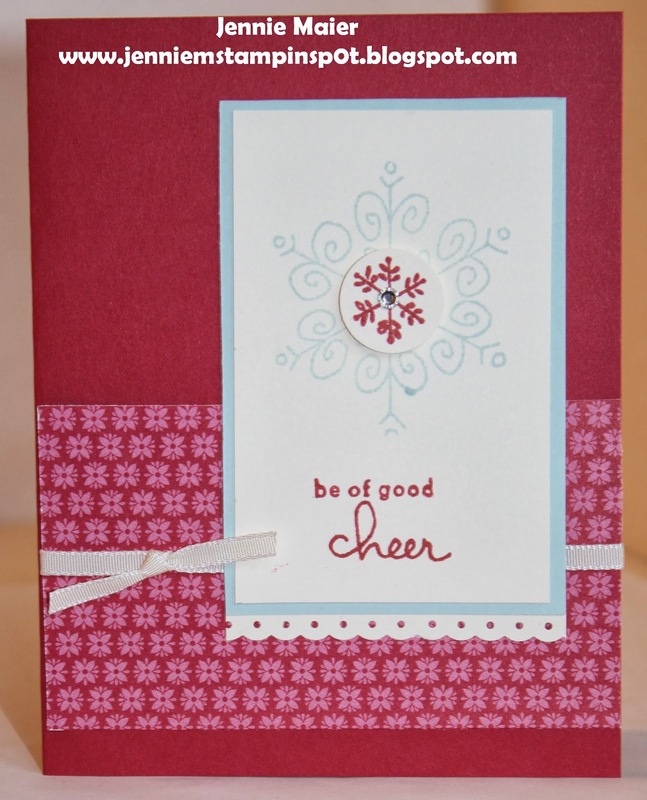 The colors to use are Tangerine Tango, Rich Razzleberry, Old Olive and Basic Black. 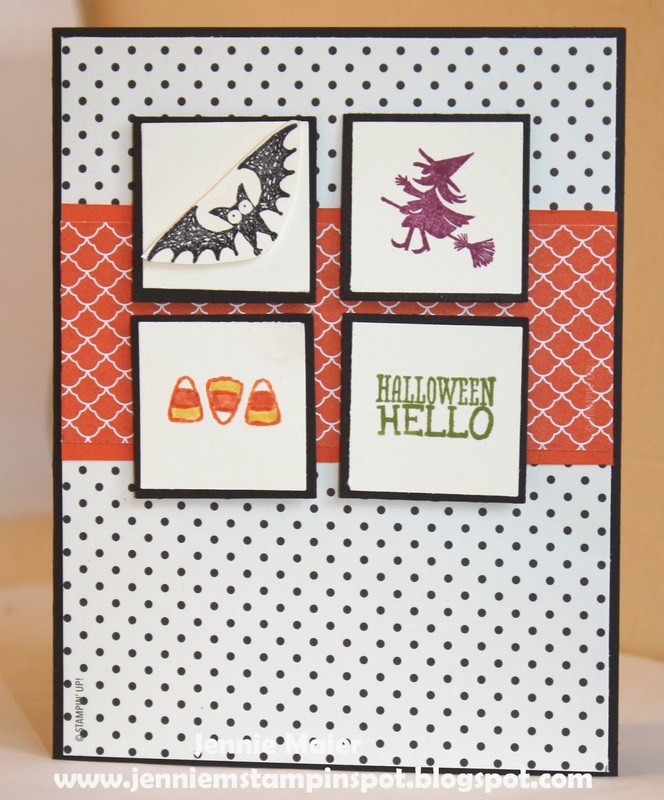 I used the Halloween Hallo stamp set and some Modern Medley DSP and Brights DSP Stack. 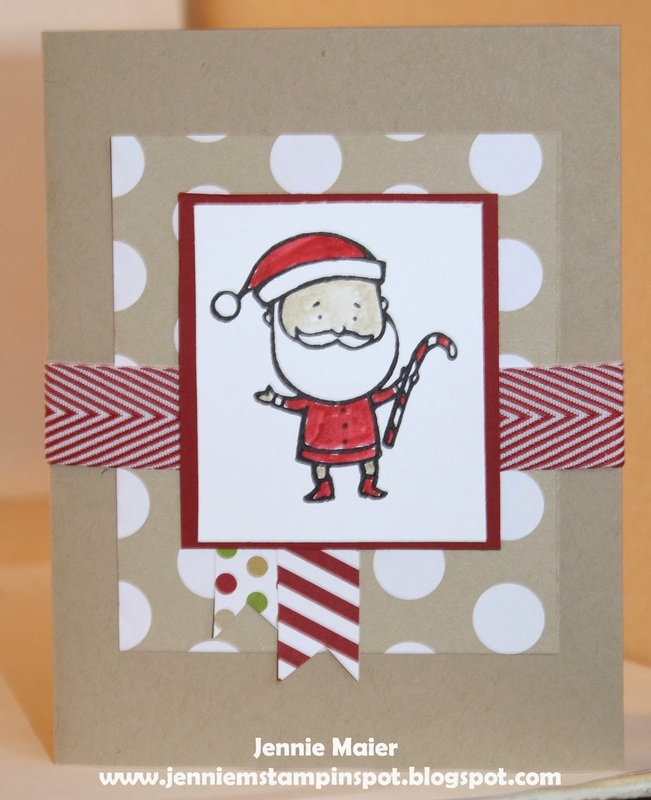 This card came together really fast thanks to the Freshly Made Sketch#106 here. 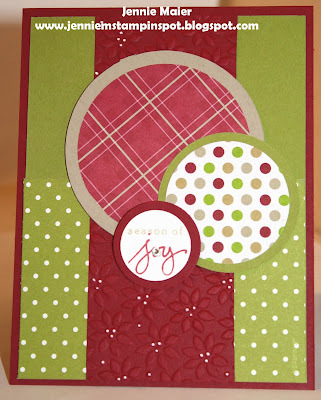 I used the More Merry Messages stamp set with some Season of Style DSP Stack. I really liked the card on page 16 of the Stampin' UP! 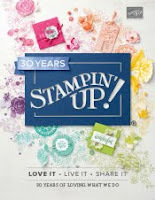 catalog so I cased it, just changing up the colors and stamp sets. 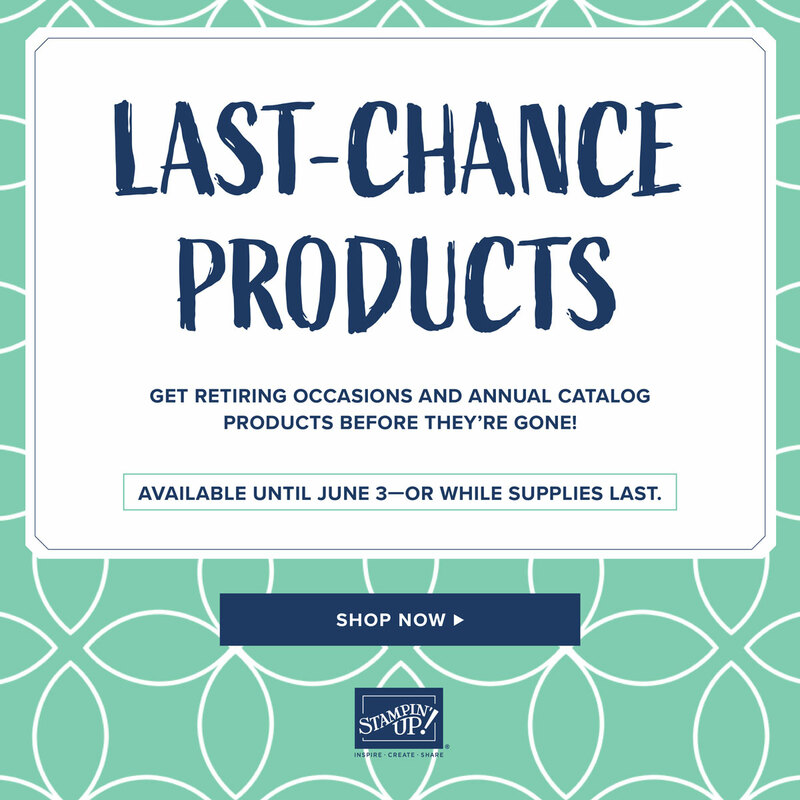 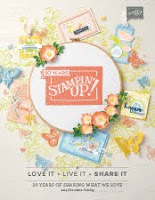 I used the Bring on the Cake and Six-Sided Sampler stamp sets. And there's some Polka Dot Parade DSP and a little of the Brights DSP Stack. Still need to make more birthday cards so I used the MojoMonday Sketch#313 here. 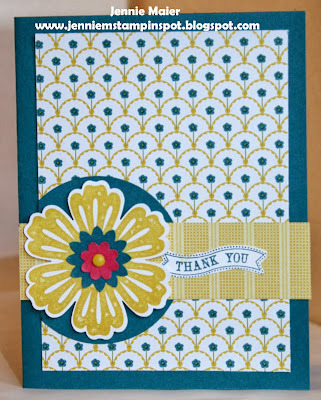 I paired the Flower Shop and Petite Pairs stamp sets with some Gingham Garden DSP. 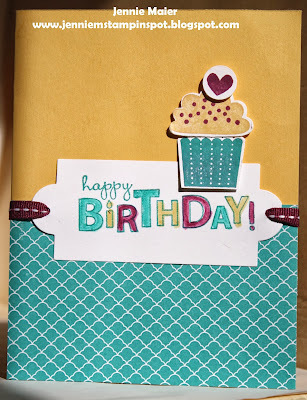 I used the FabFriday #27 sketch here for this birthday card. 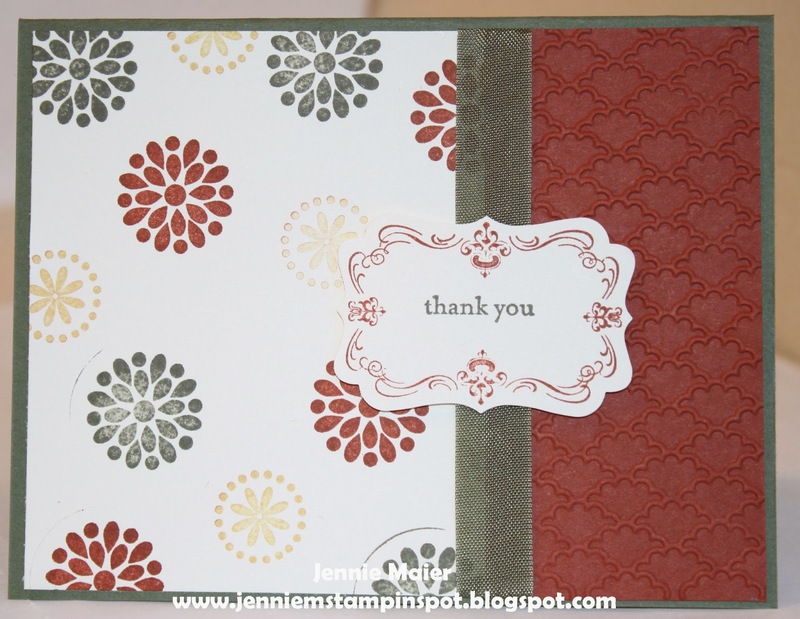 I also used A Fitting Occasion stamp set with some Modern Medley DSP.